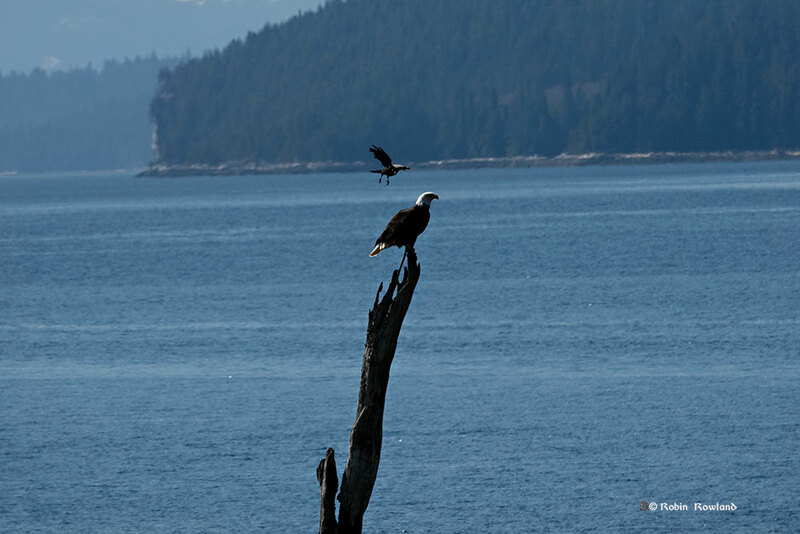 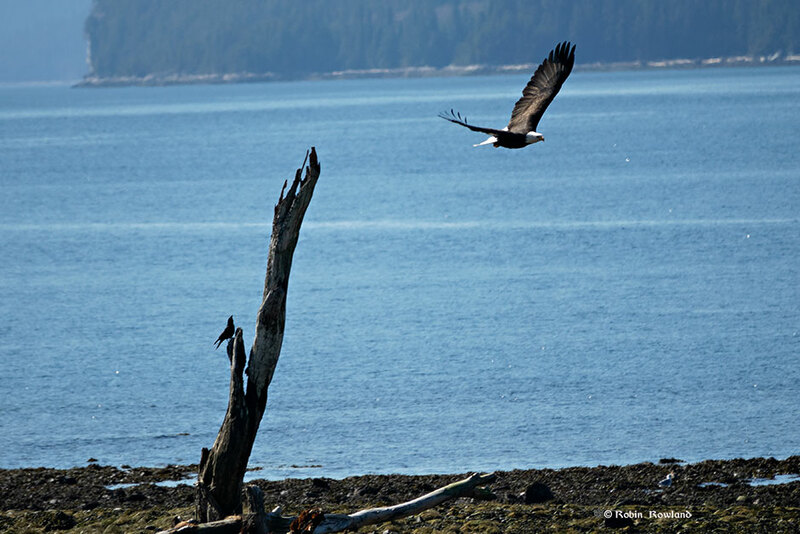 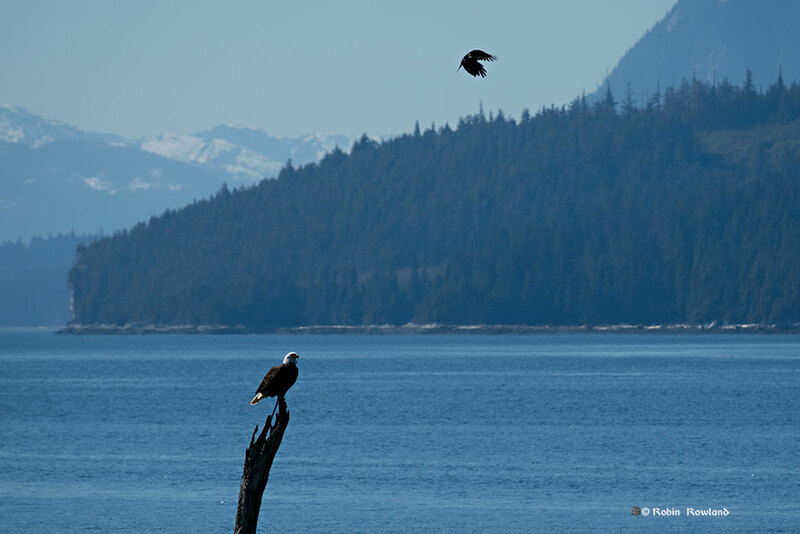 A crow mobs a bald eagle at the mouth of Wahtl Creek, MK Bay marina, Kitimat, BC. 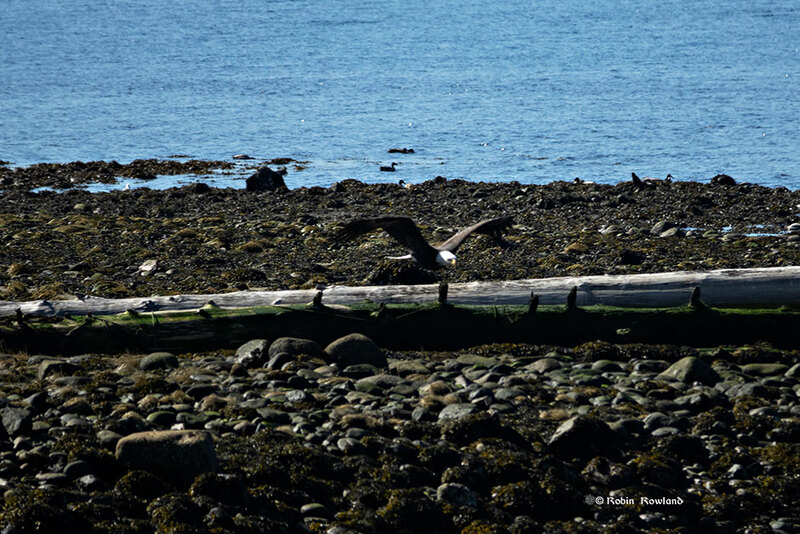 I was out shooting for fun along the Kitimat/Kitamaat Village waterfront when I captured the story of a fiesty crow that demanded a bald eagle get off an old log in the Wahtl Creek estuary. 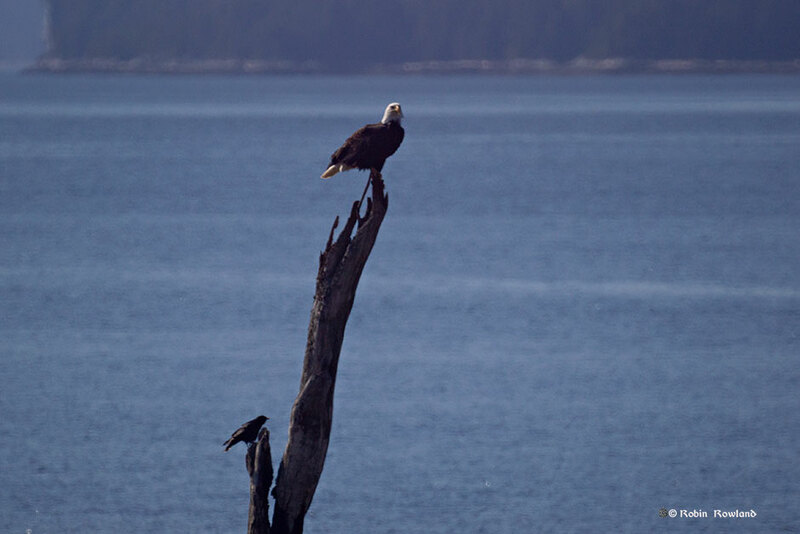 The crow apparently thought it was its perch, not the eagle’s. 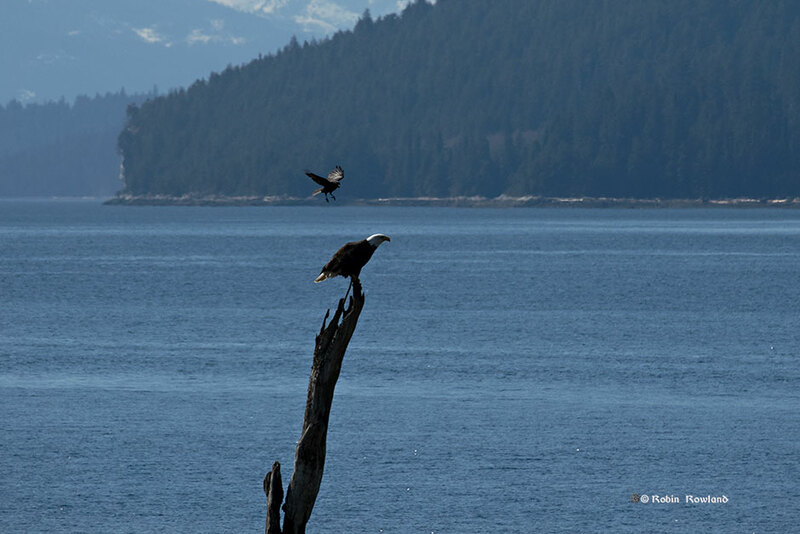 The crow flies to the perch and finds the eagle on top. 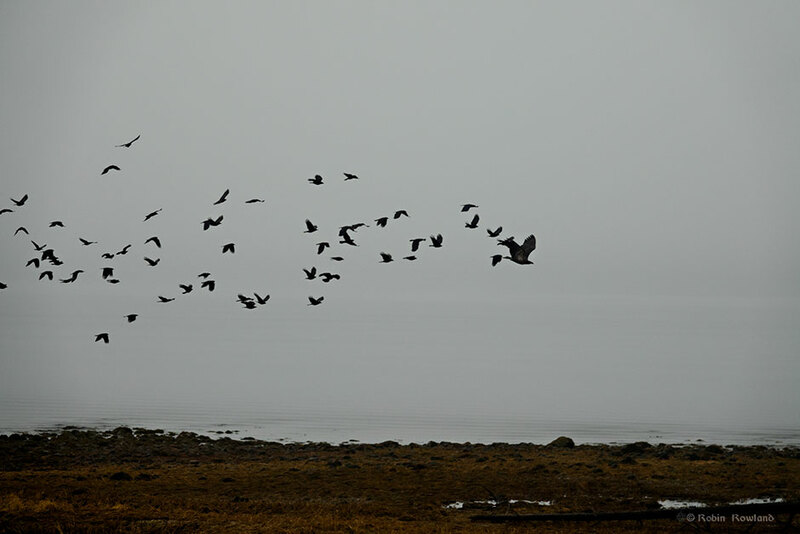 The crow circles the eagle. 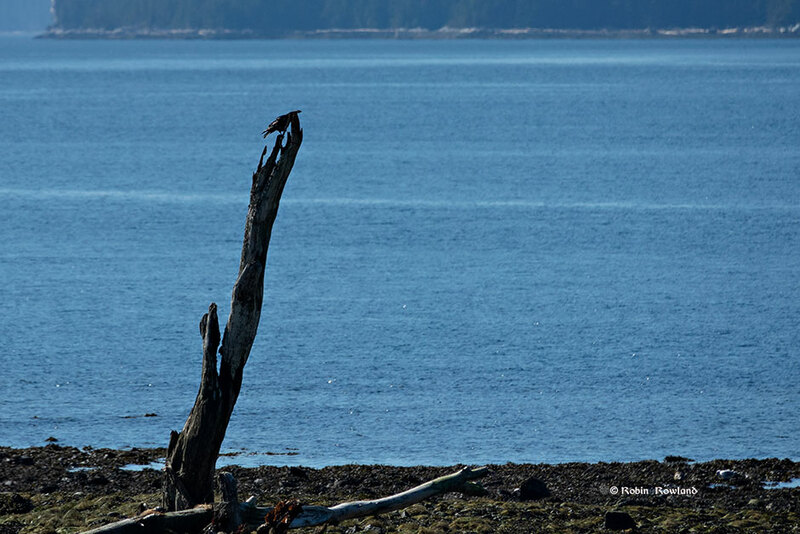 The crow settles on a lower branch of the old dead tree. 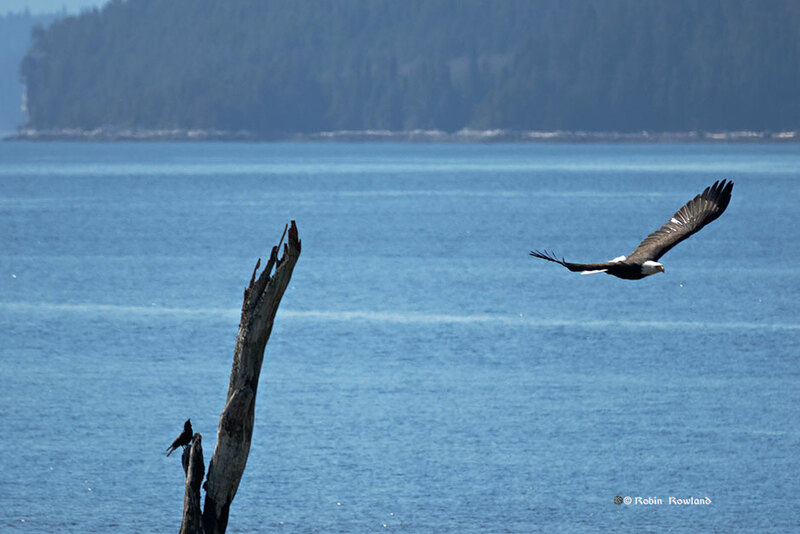 The crow leaves and the eagle takes off from the perch. 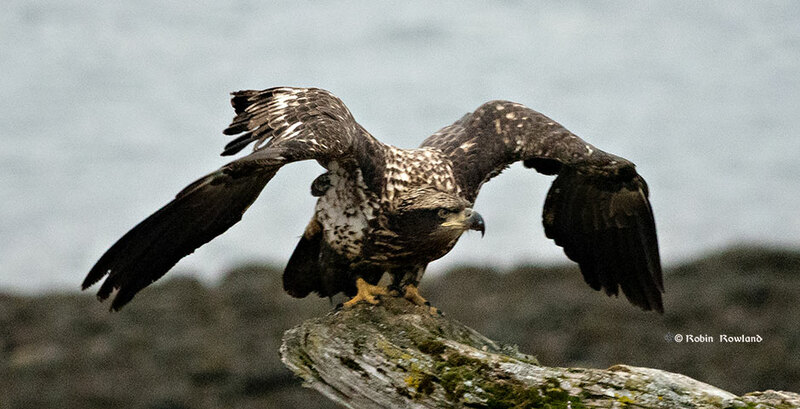 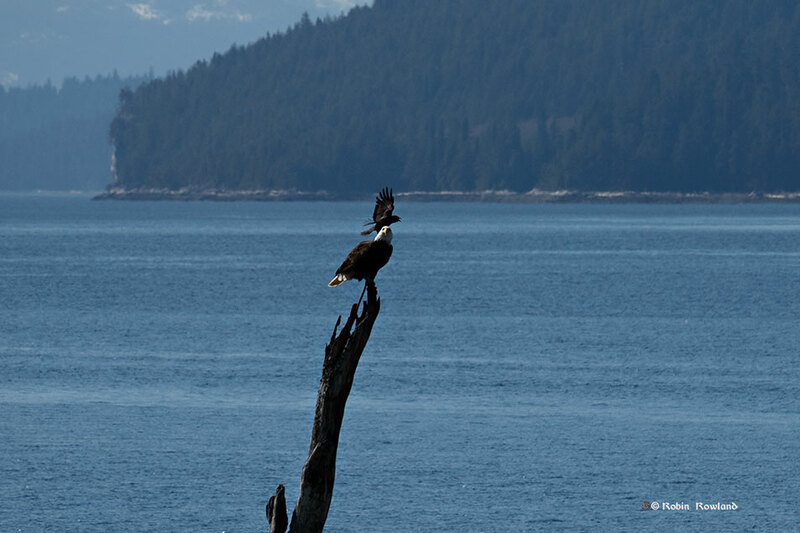 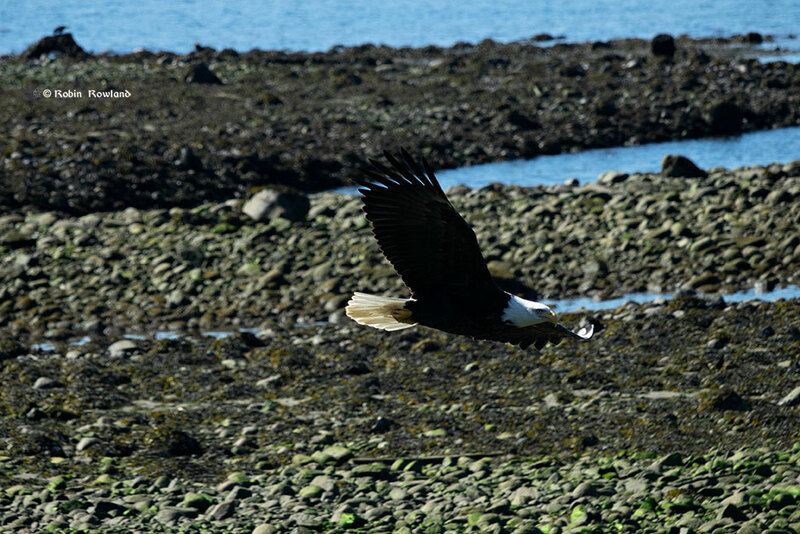 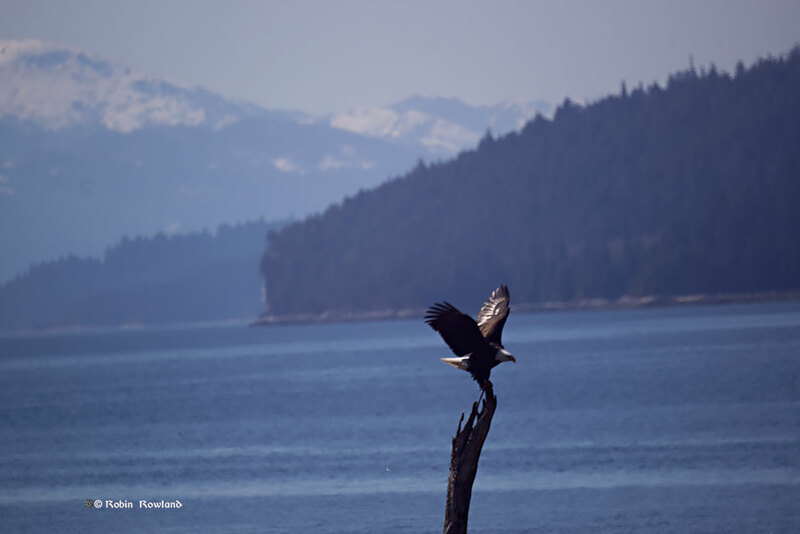 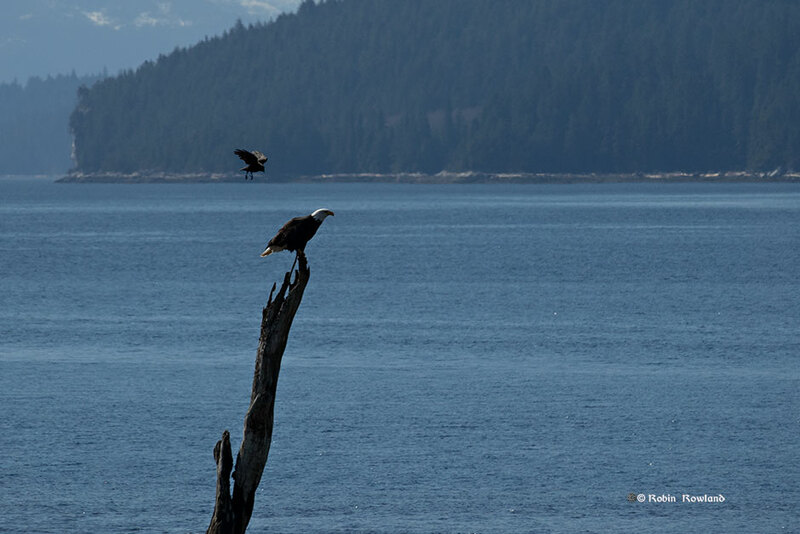 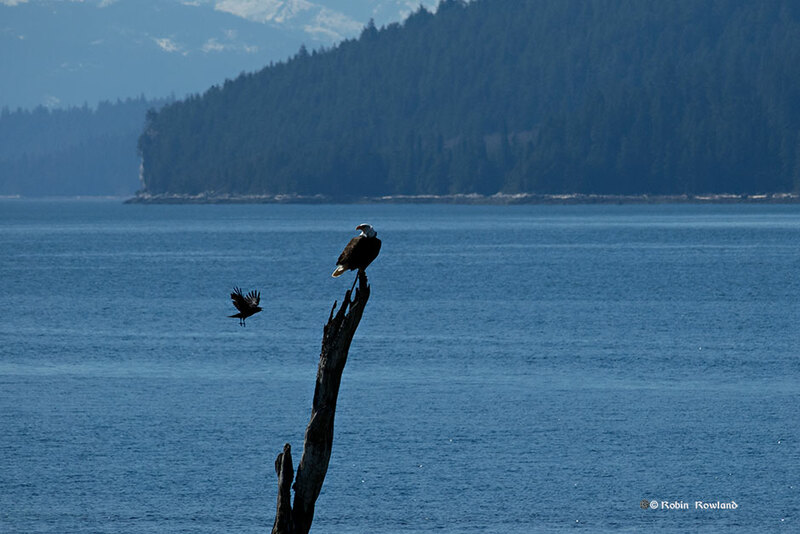 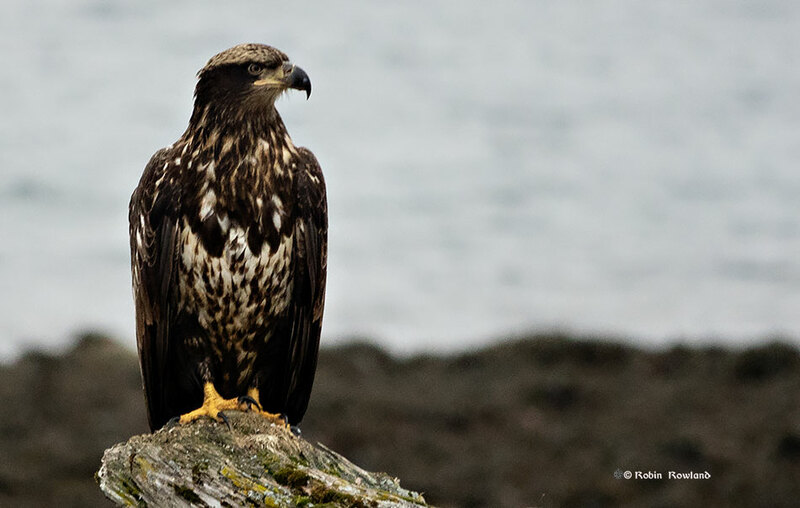 The eagle skims over the low tide estuary. 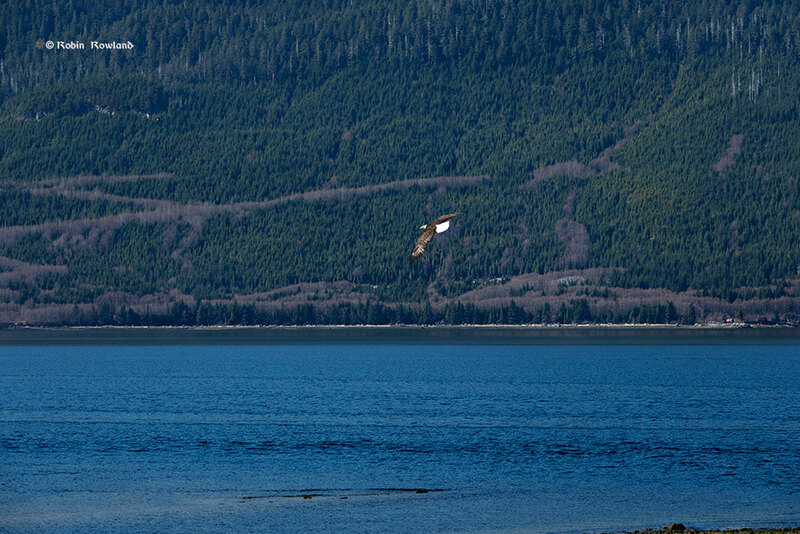 The eagle flies over the Wahtl Creek low tide estuary. 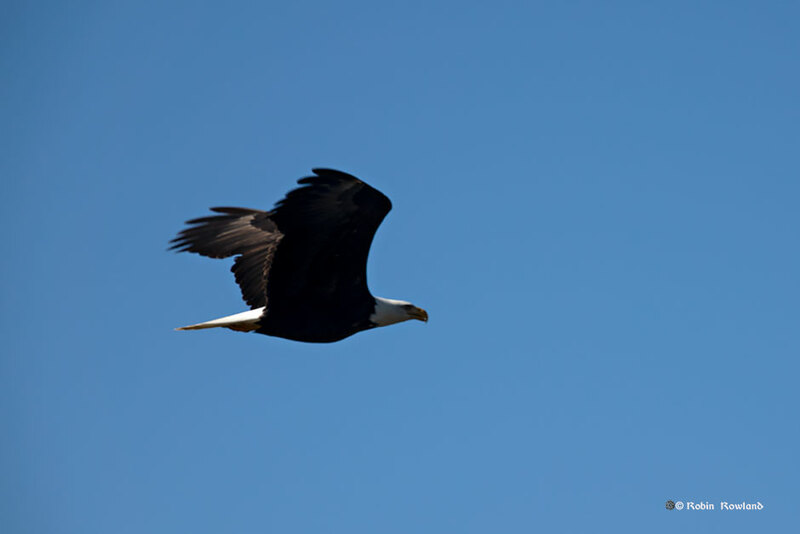 The eagle circles around, flying right past me, so I was able to capture this magnificent close shot. 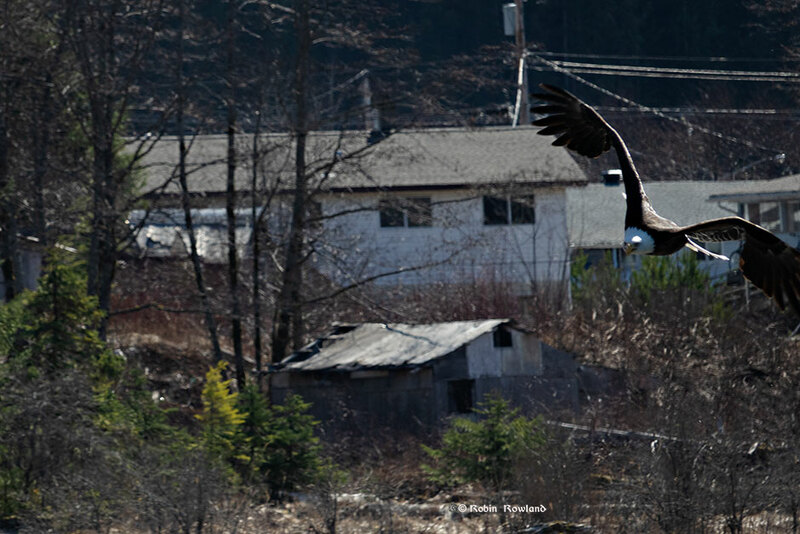 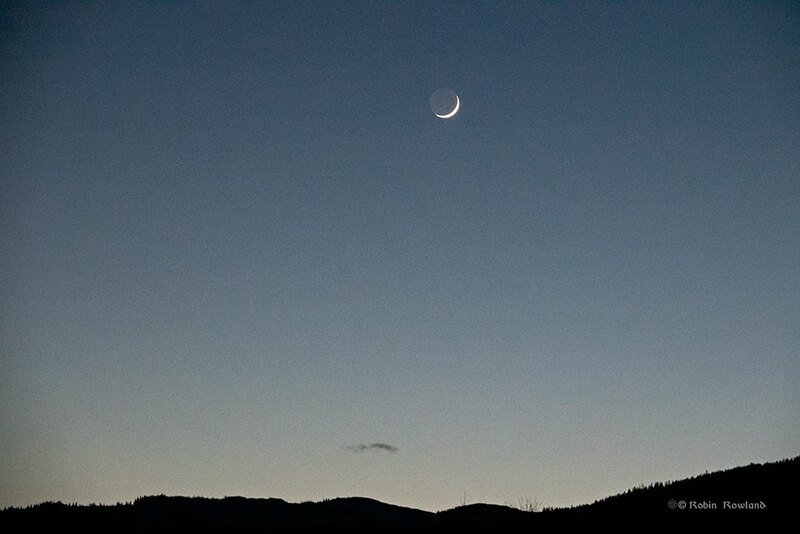 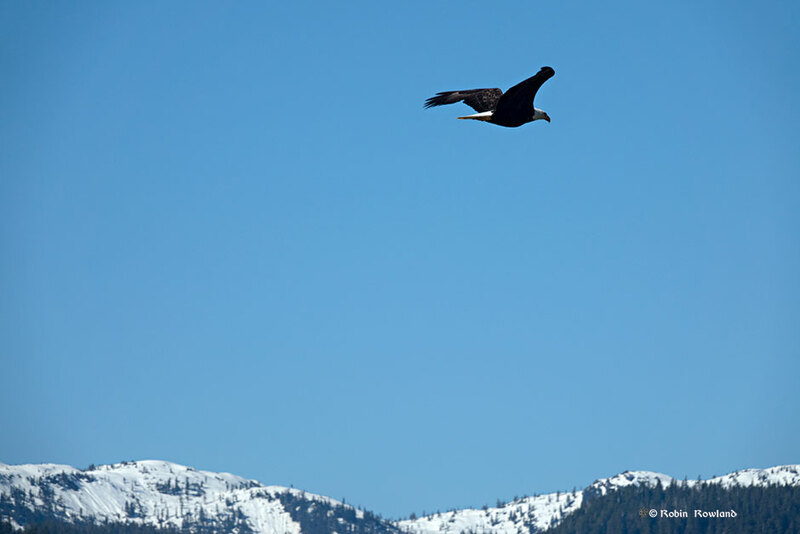 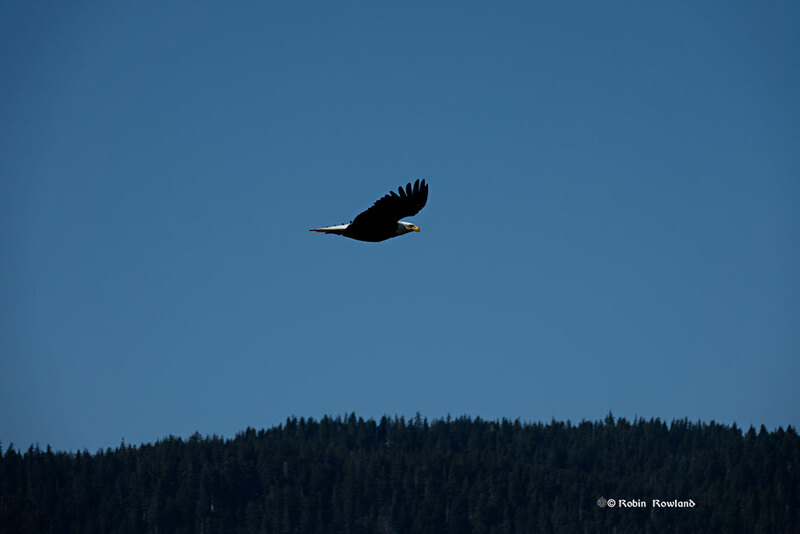 For a few moments I lost site of the eagle as it flew over Kitamaat Village, then it flew back. 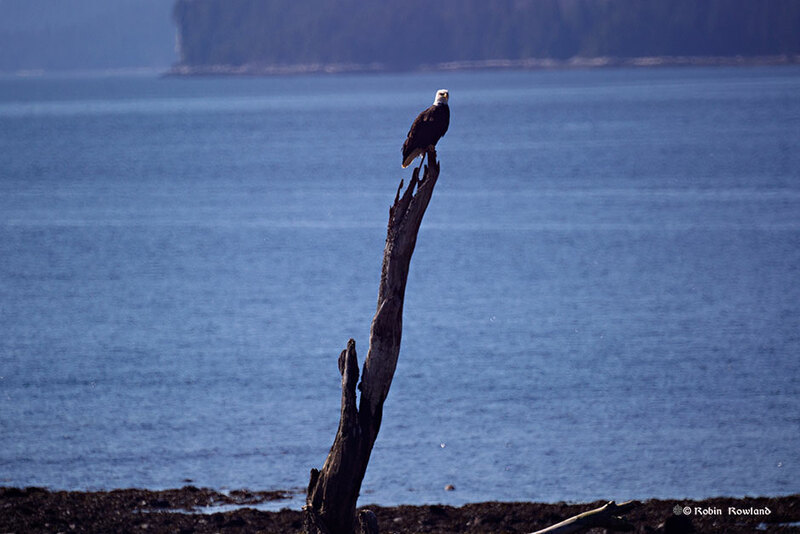 The eagle has landed–back on the perch. 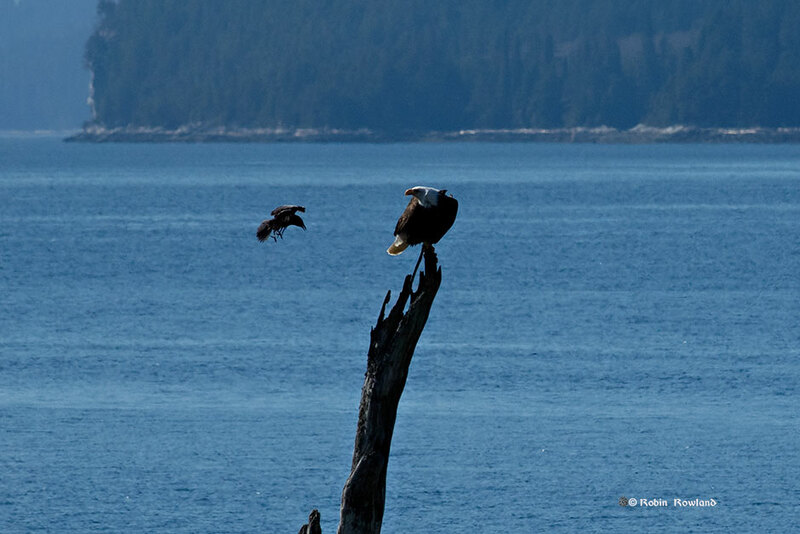 Almost immediately the crow comes back and mobs the eagle again. 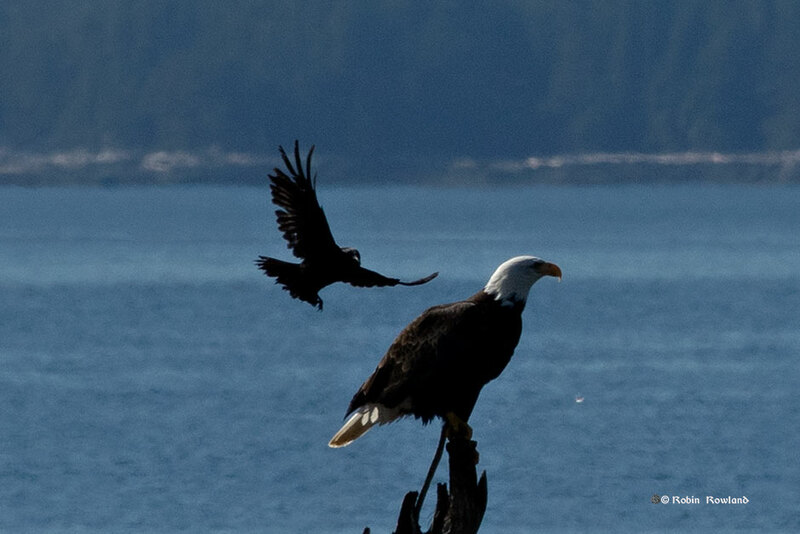 The crow mobs the eagle, at first the eagle ignores the crow. 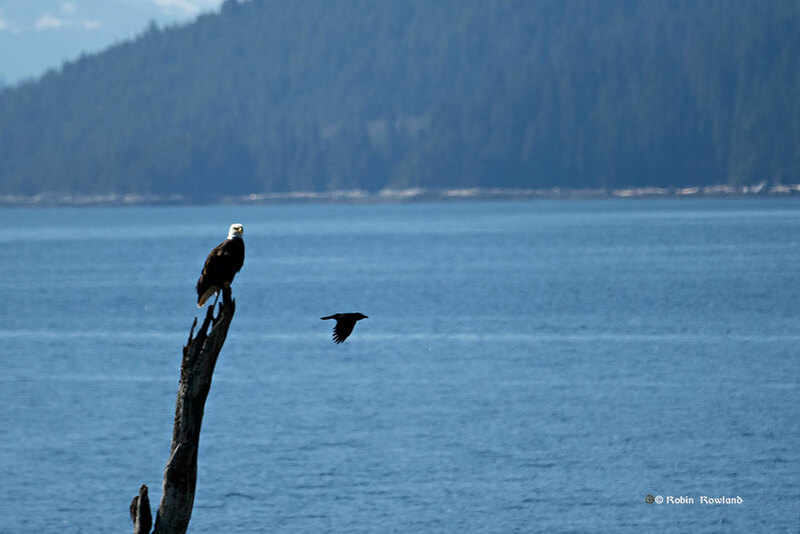 As the crow returns, the eagle looks back at it. 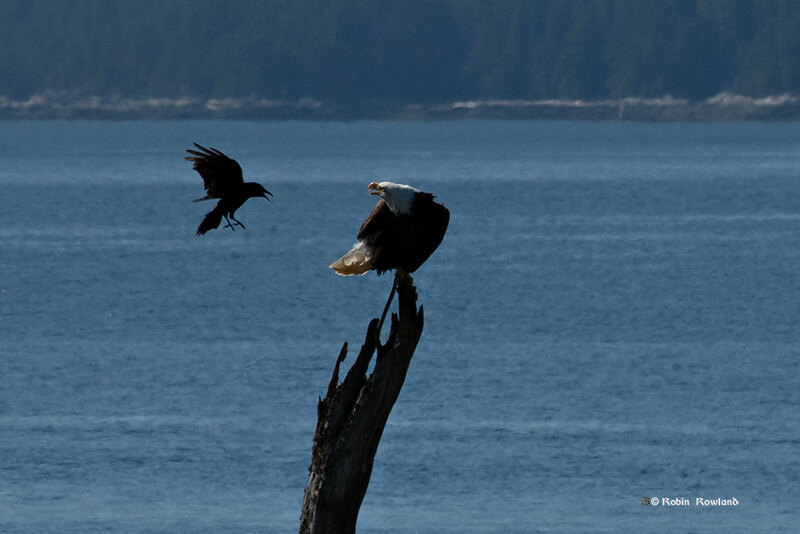 It certainly looks as if the eagle is getting annoyed with the feisty little crow. 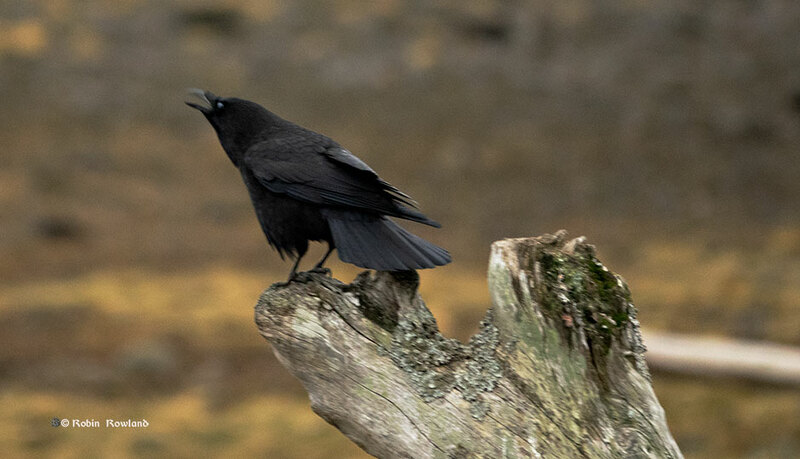 The crow settles back down on the lower perch. 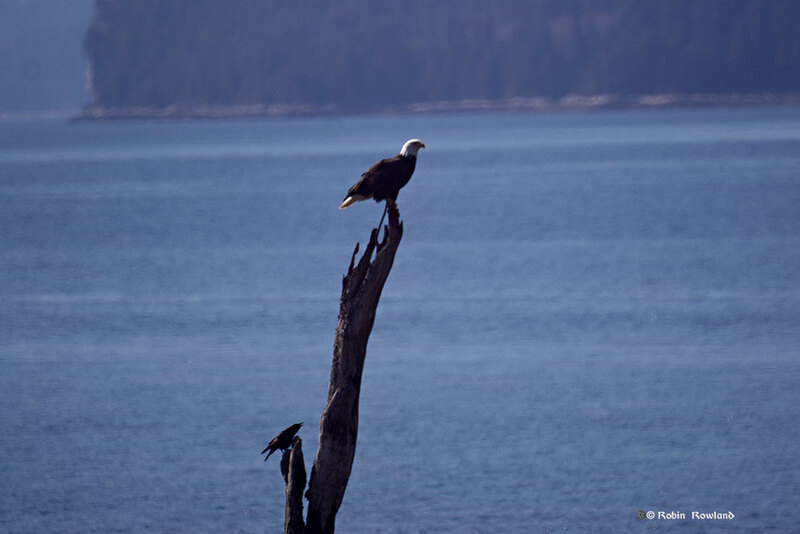 A few minutes later, the eagle decides to leave, as the crow looks up at the coveted perch. 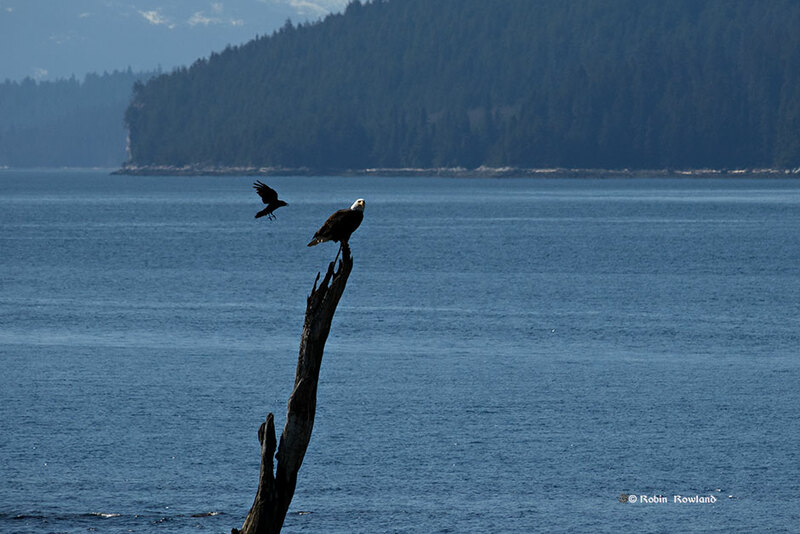 That’s my perch, the crow is the winner and flies up to the upper perch. 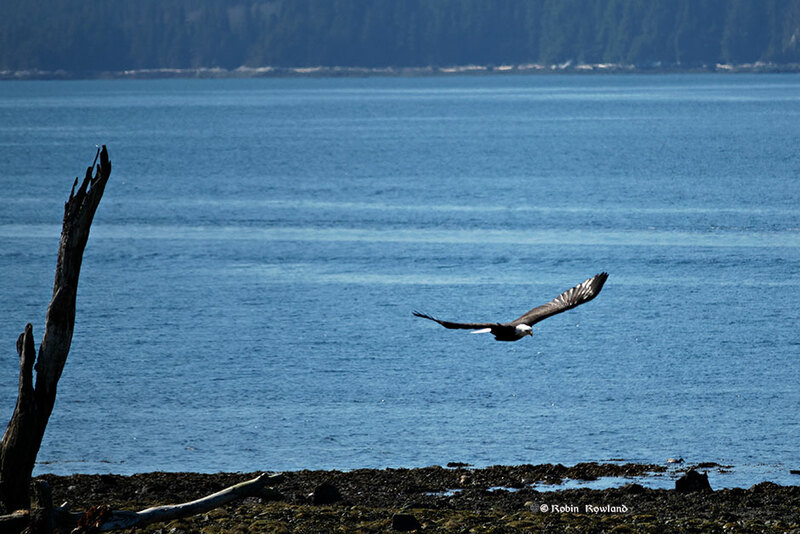 The eagle flies by me once more heading out over the harbour. 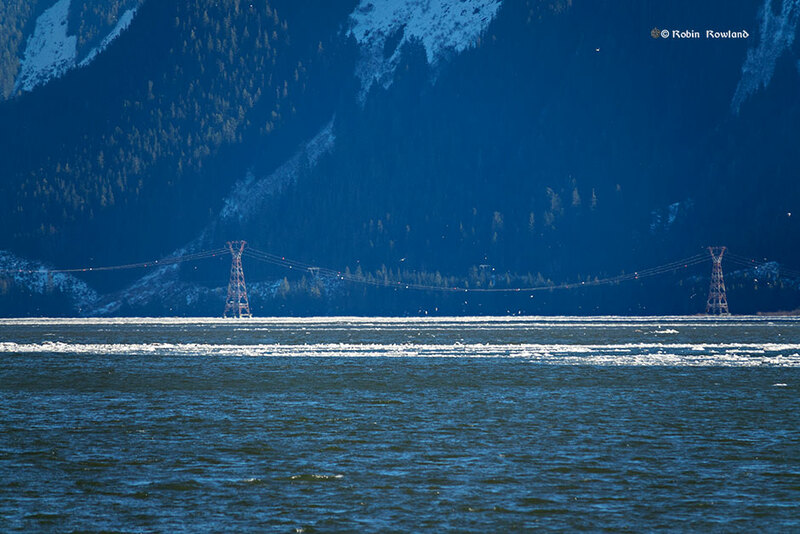 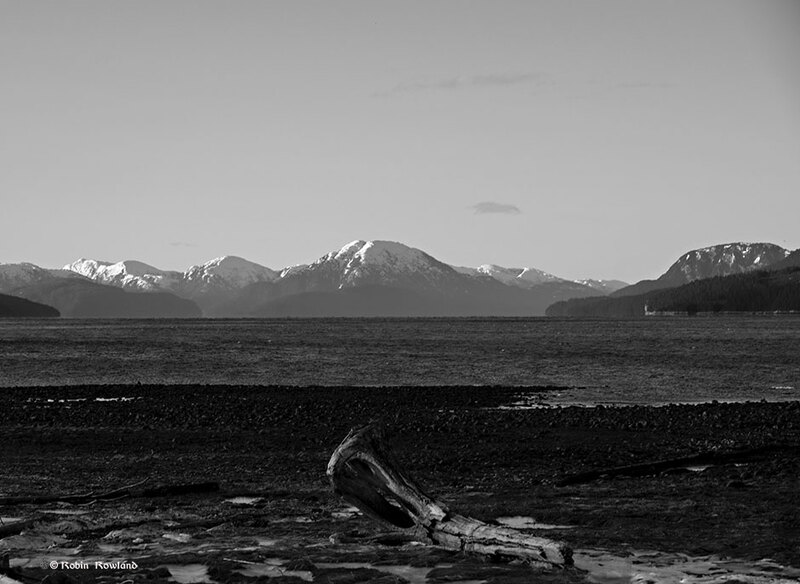 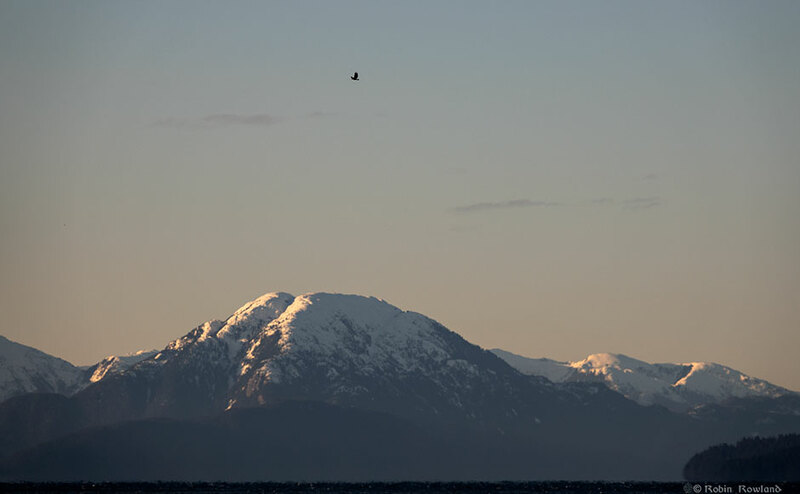 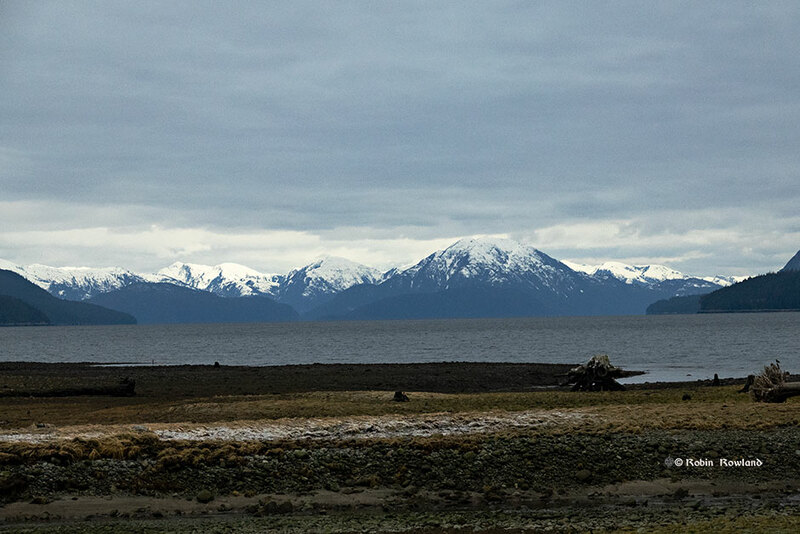 The eagle heads across the Kitimat Arm of Douglas Channel toward the mountains. 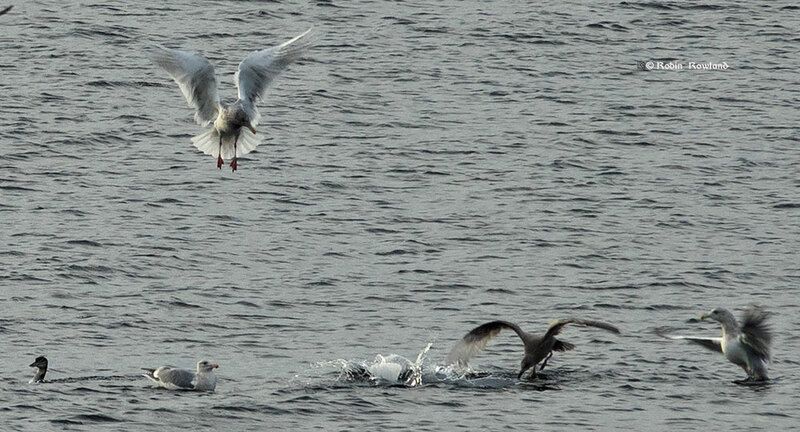 Cameras, Sony RX10iii and Sony Alpha 77 with Minolta 500mm mirror lens. 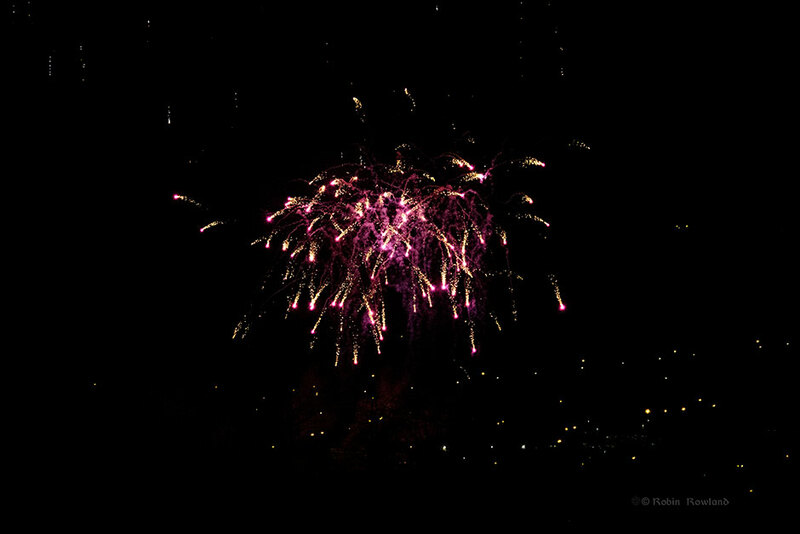 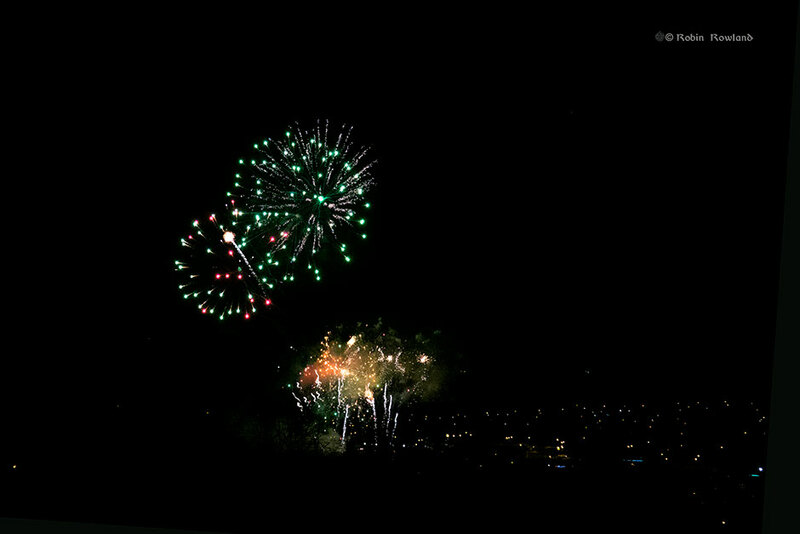 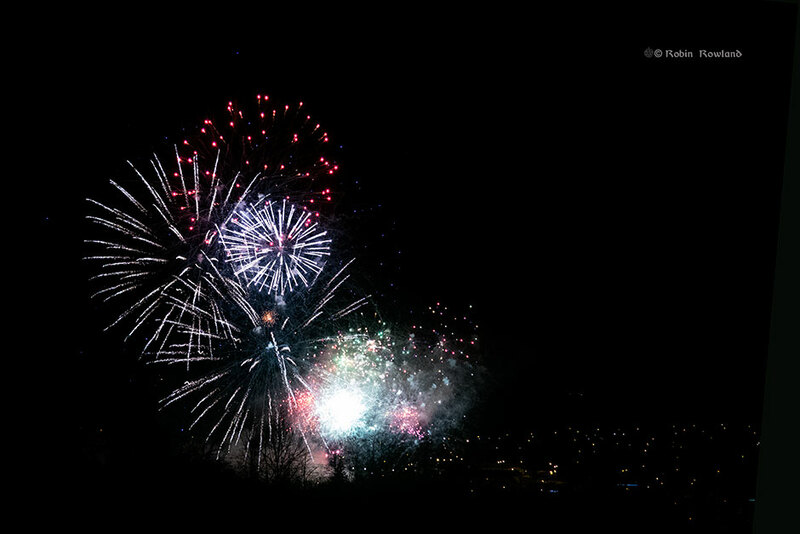 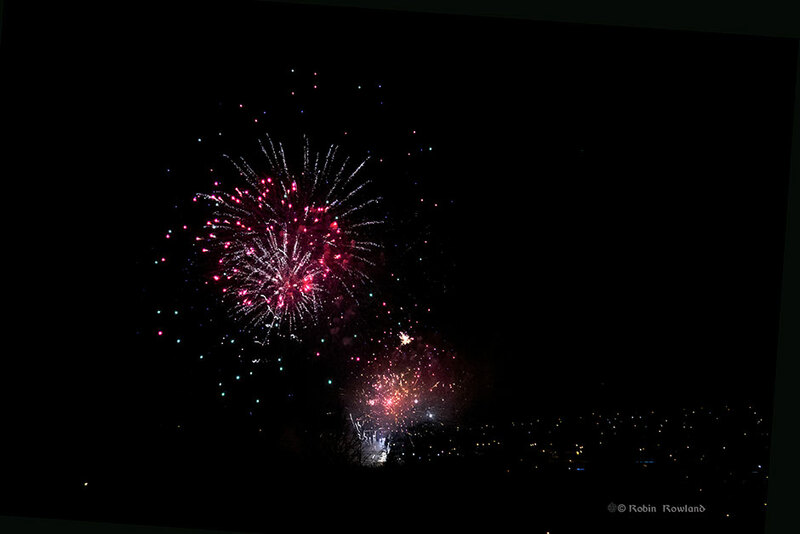 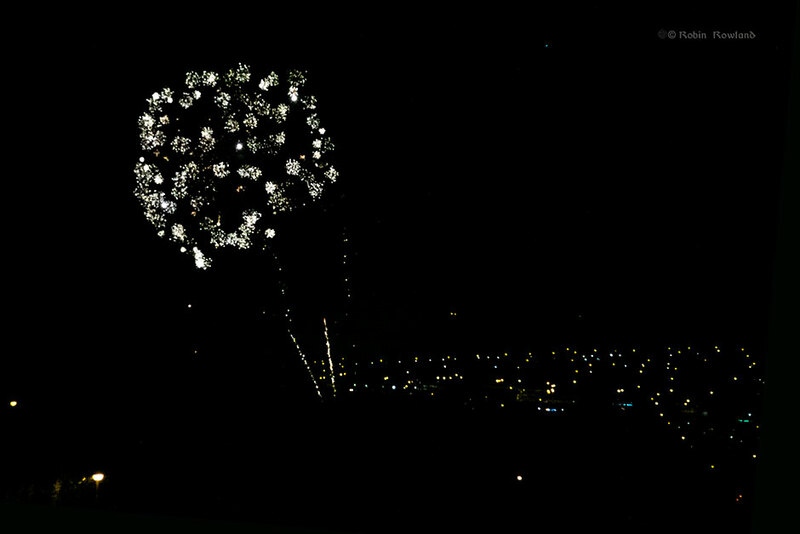 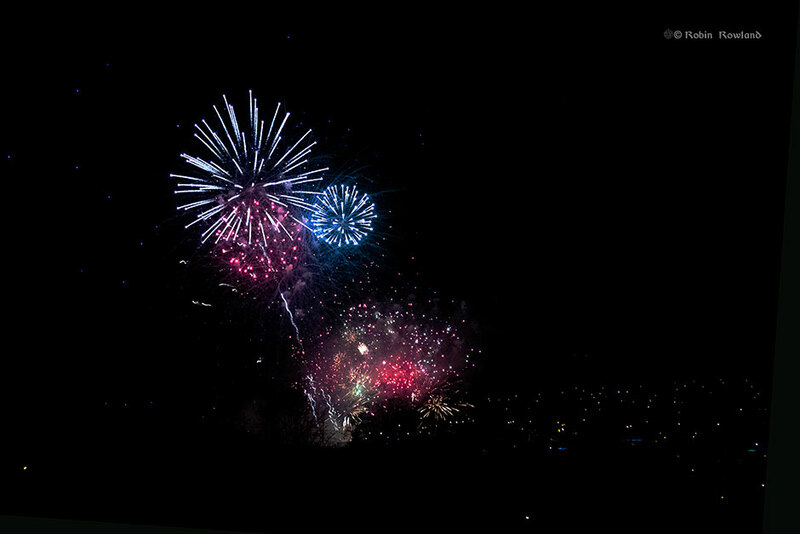 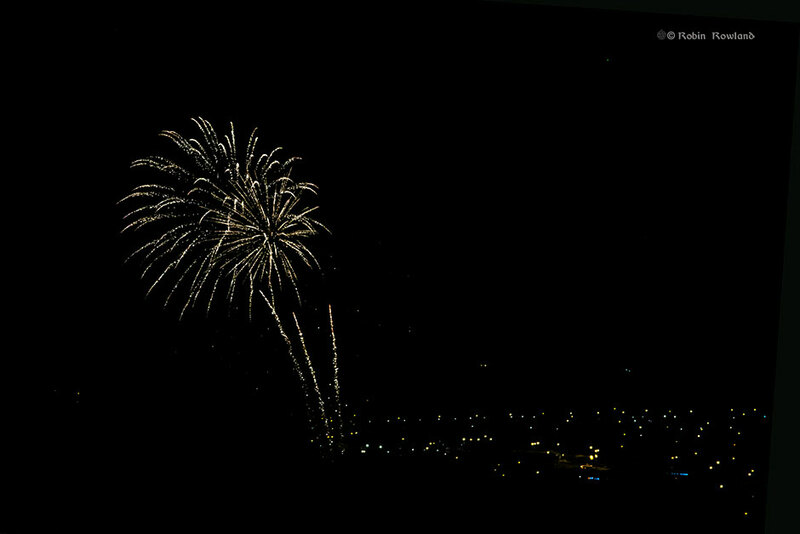 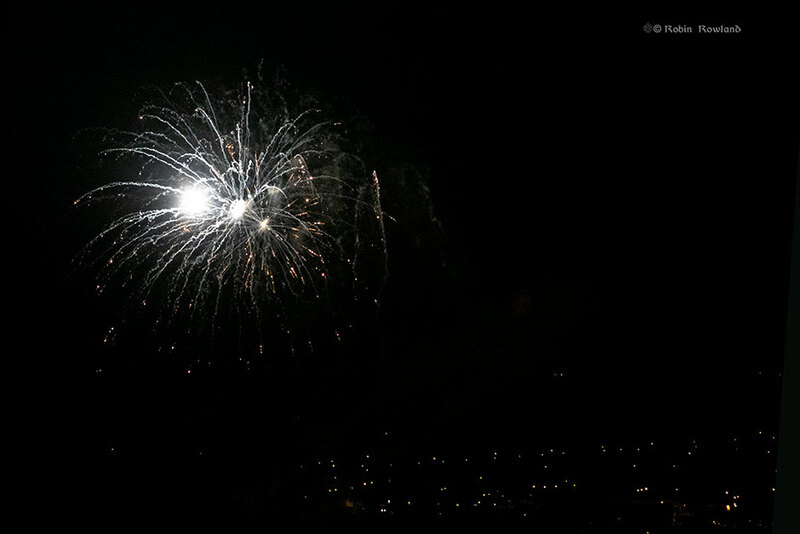 Kitimat had a spectacular display of fireworks Monday night, March 18, 2019 to mark the opening of the Junior All Native Basketball tournament, hosted by the Haisla Nation. 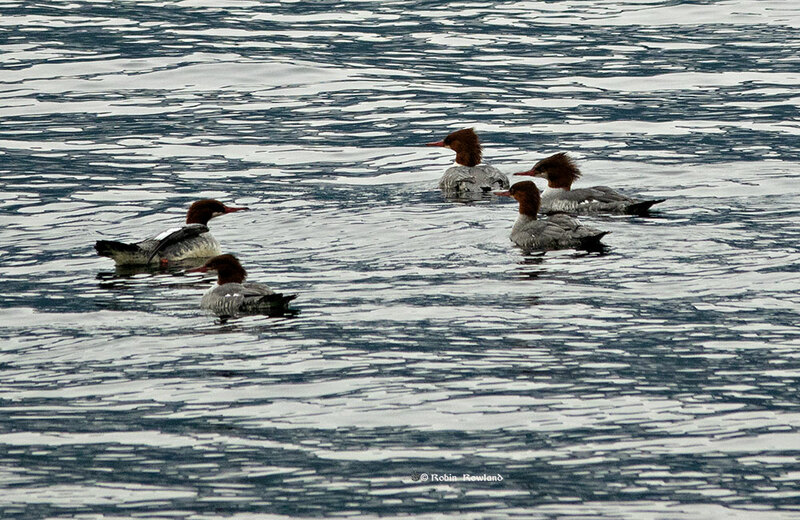 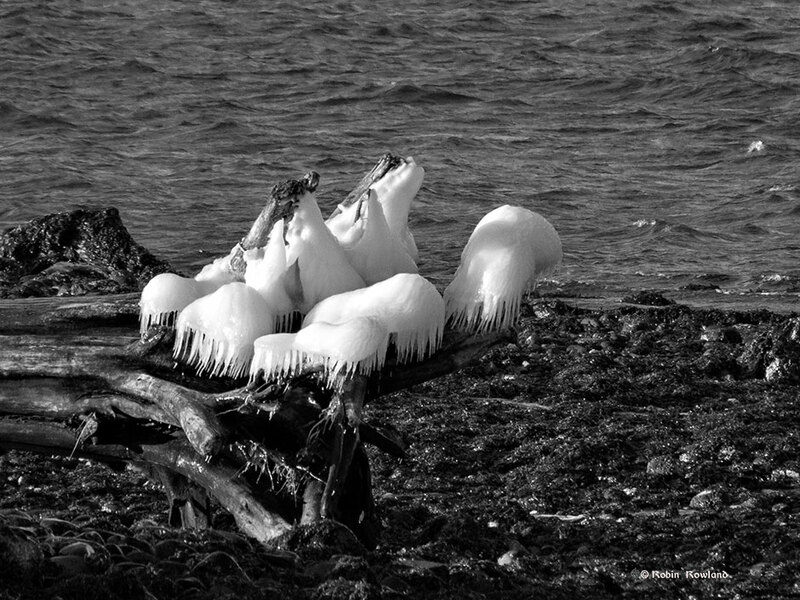 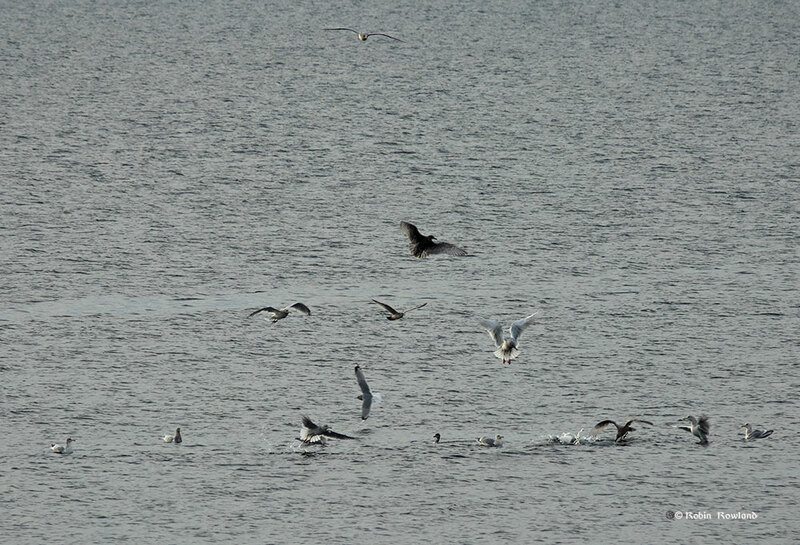 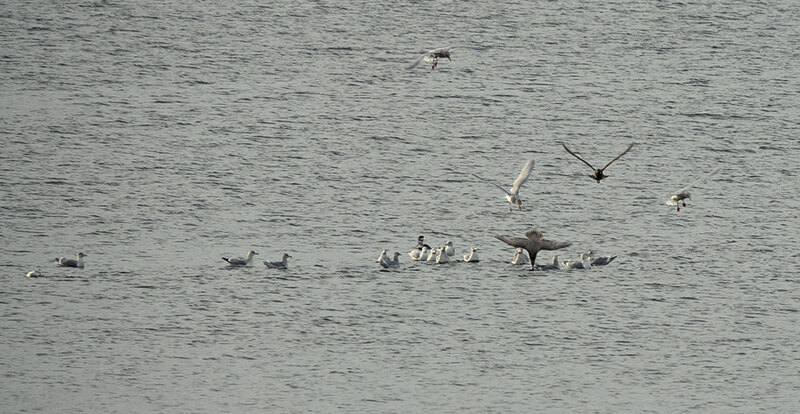 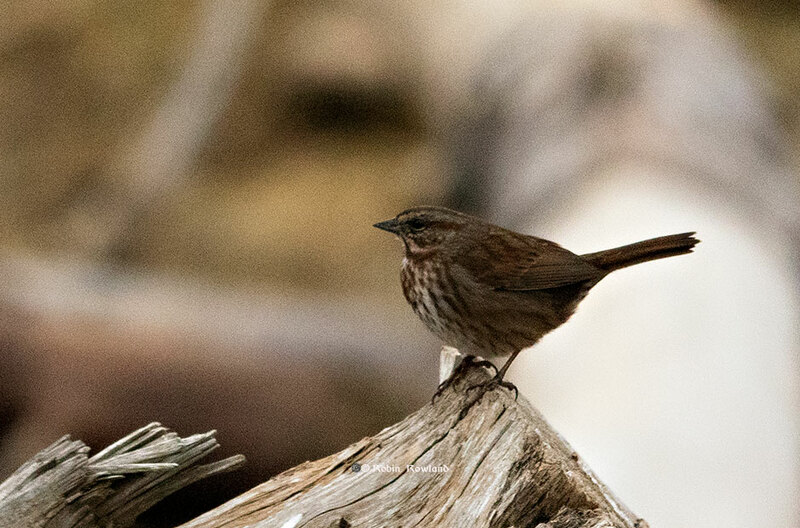 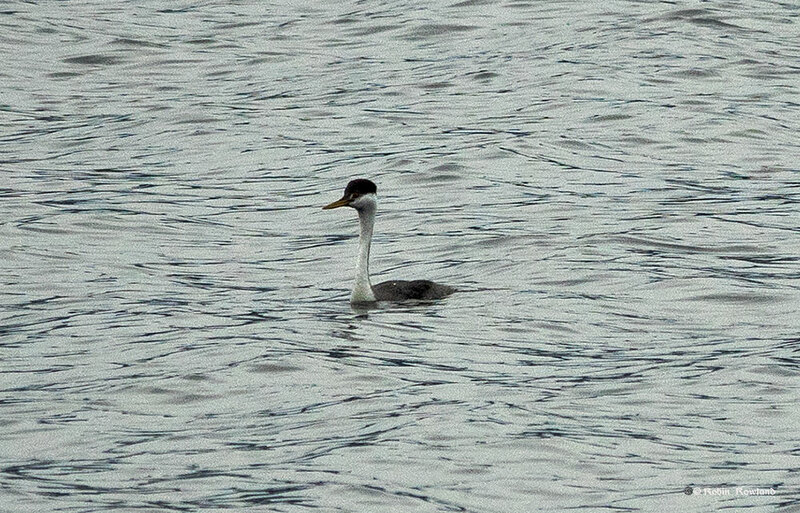 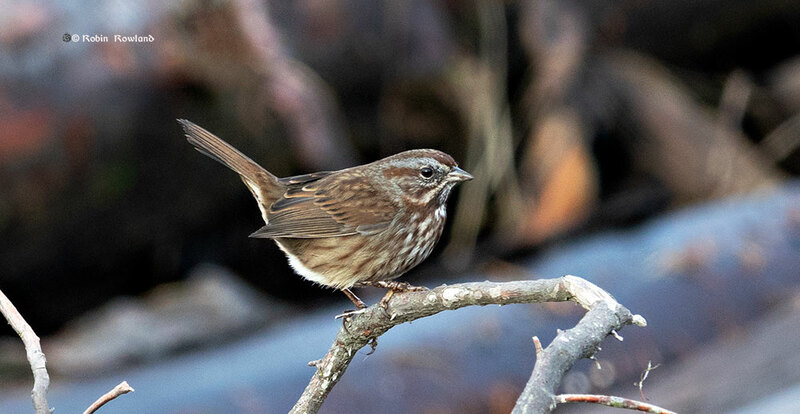 Shots from the November shore bird survey. 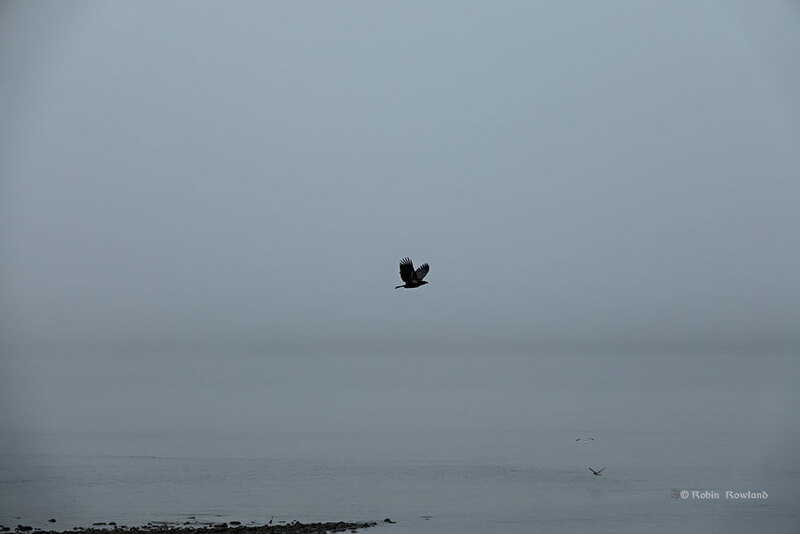 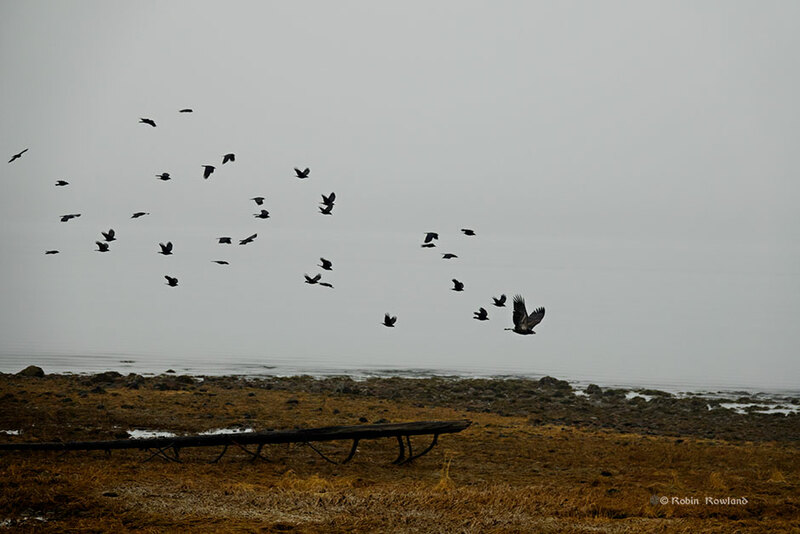 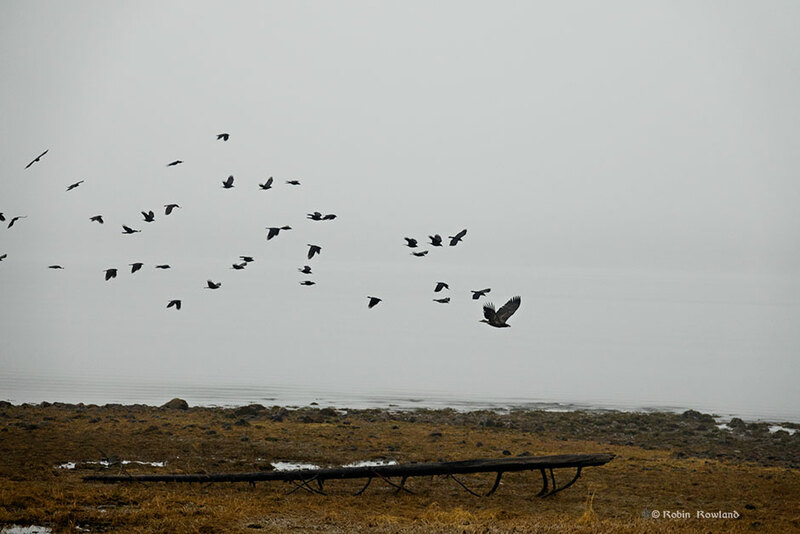 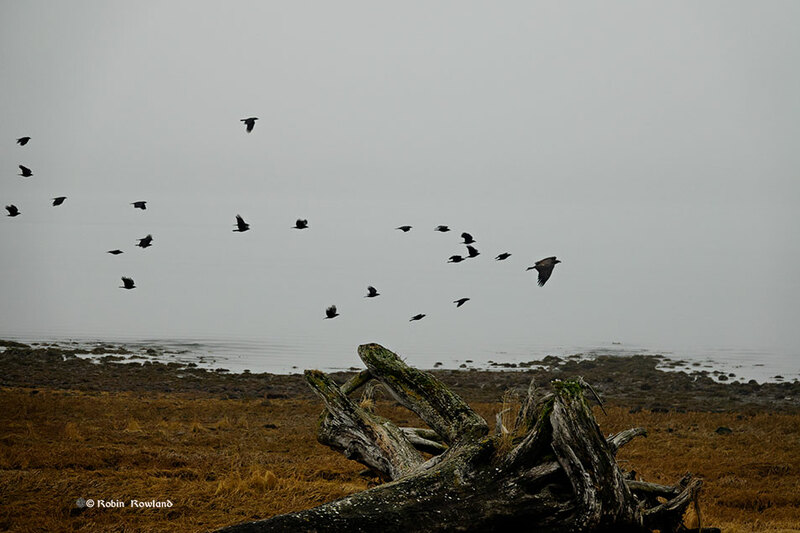 There were more crows than usual Sunday morning at the Kitamaat Village waterfront. 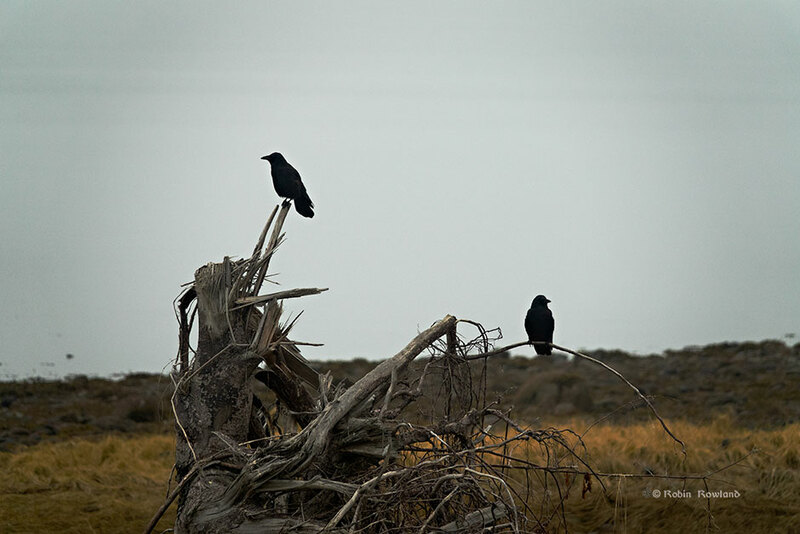 Crows perching on old driftwood roots…. 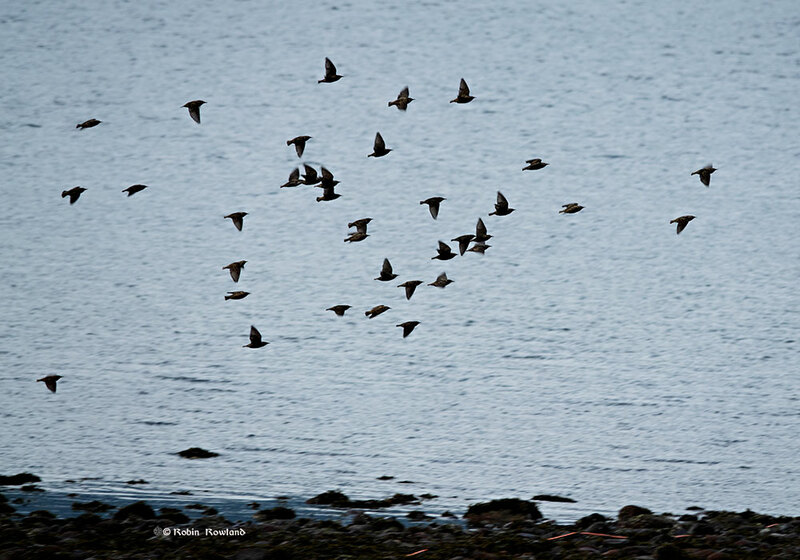 …or in the air along the shore line. 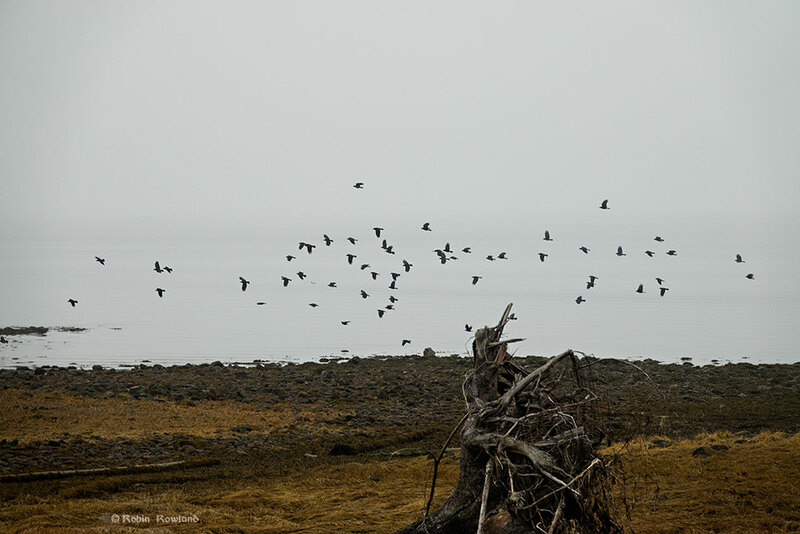 Suddenly all the crows took to the air….that murder of crows (or as one of the other birders said “it looks like two murders”). 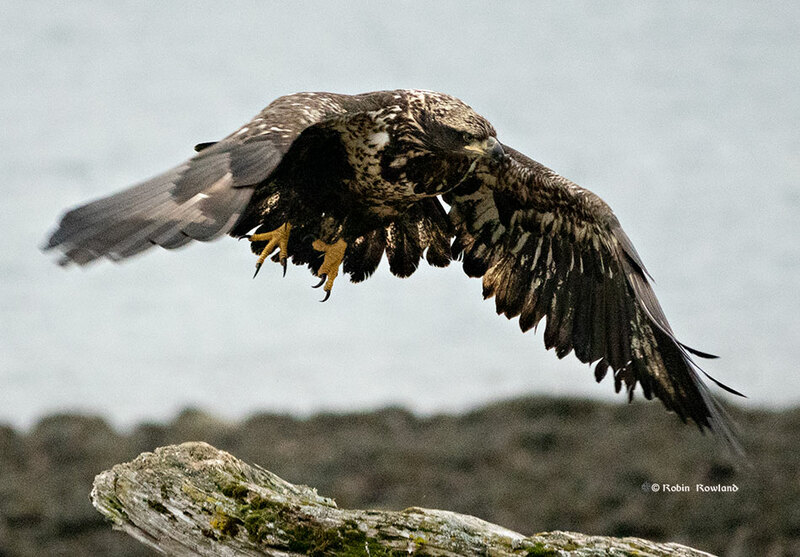 It was soon clear that they were mobbing a juvenile bald eagle. 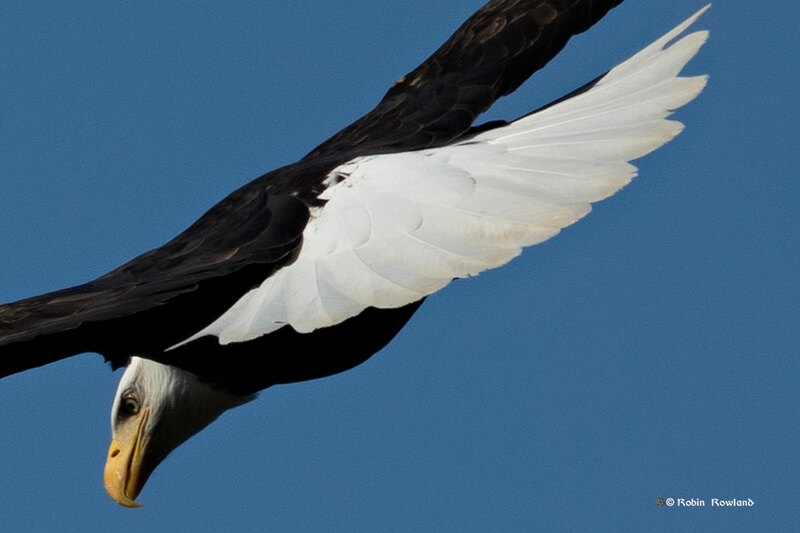 The eagle escaped the crows. 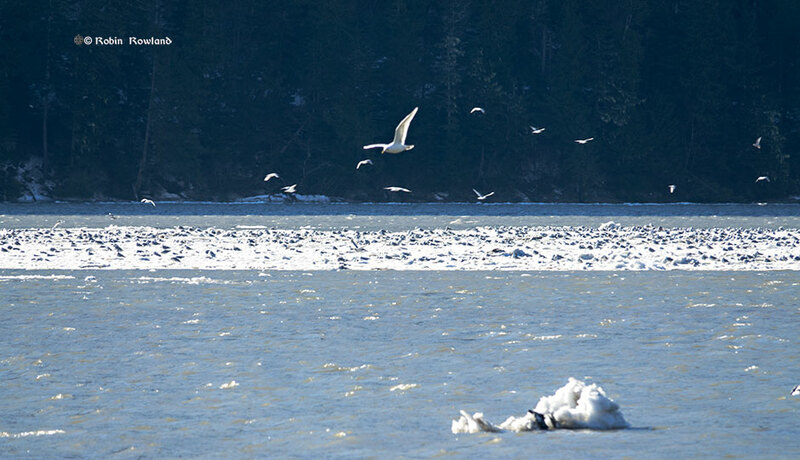 And we saw it about 20 minutes later, a little further away over the mouth of Whatl Creek at MK Bay, flying over some gulls skimming the water. 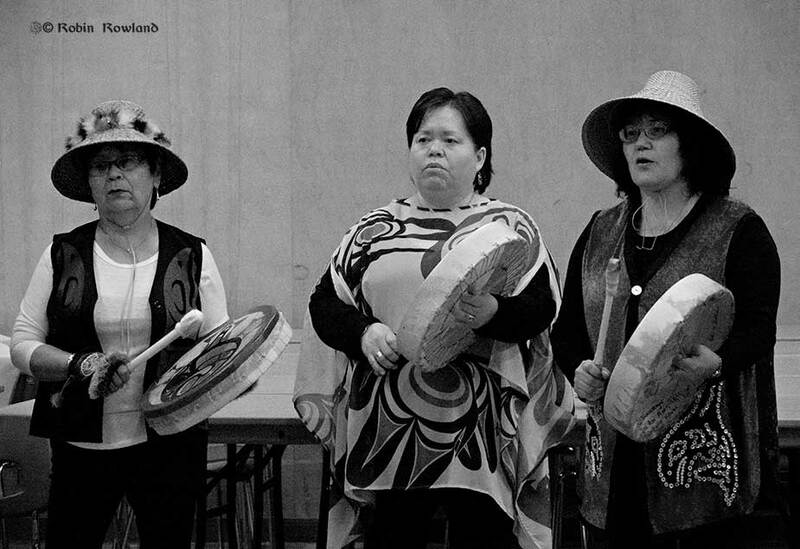 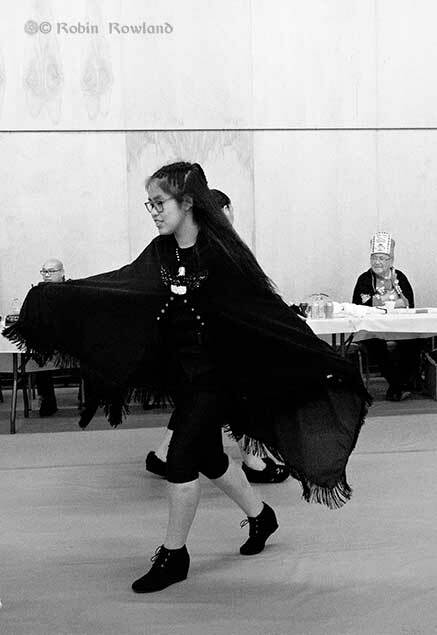 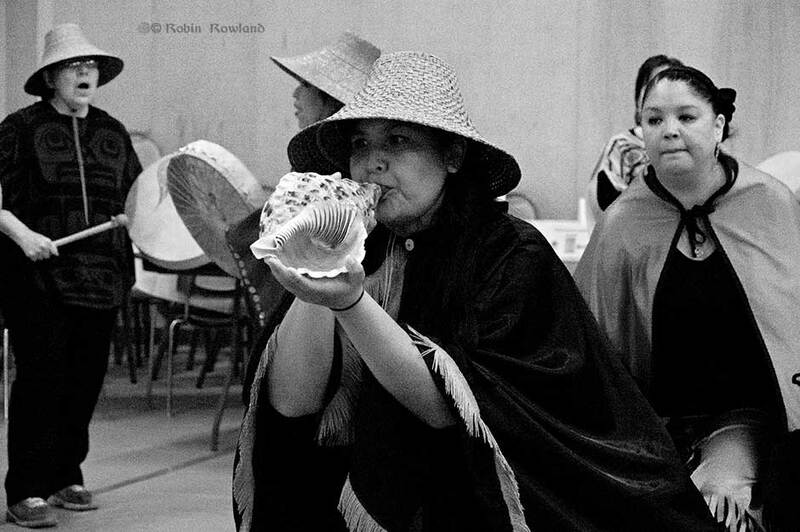 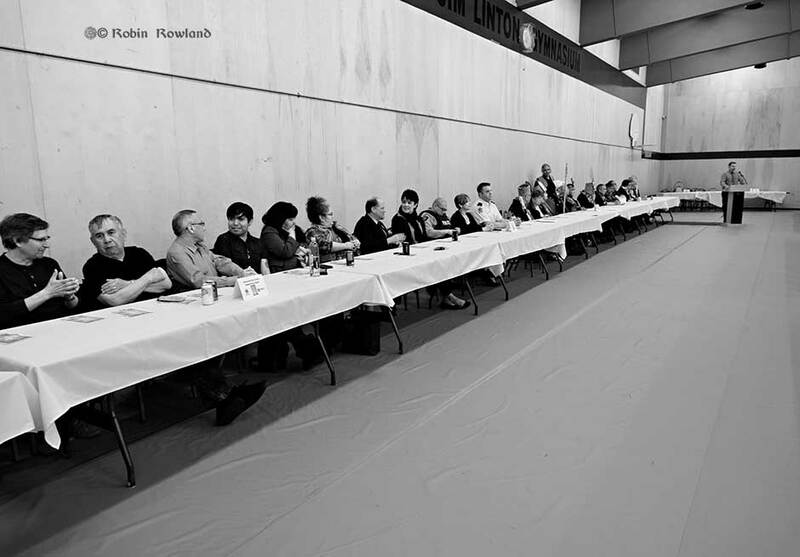 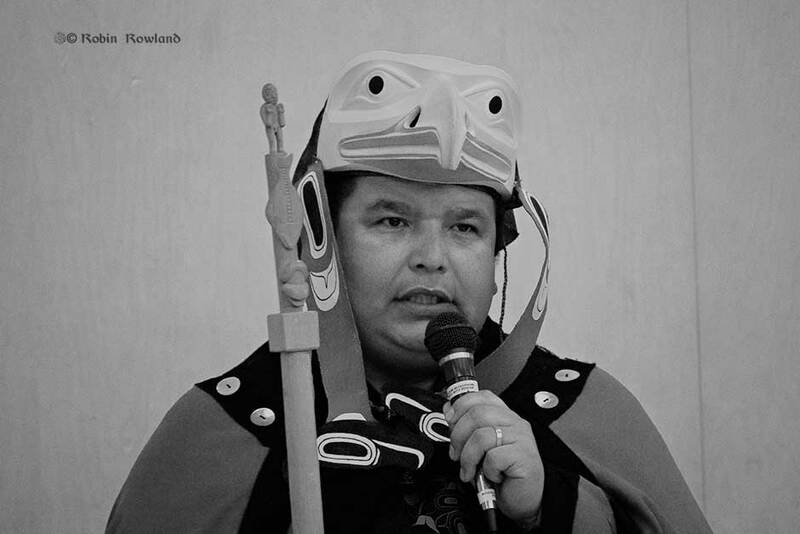 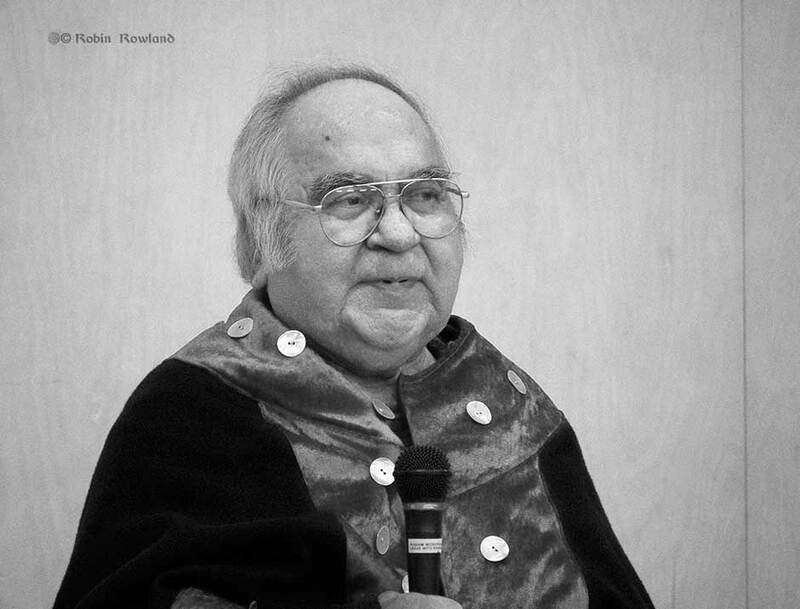 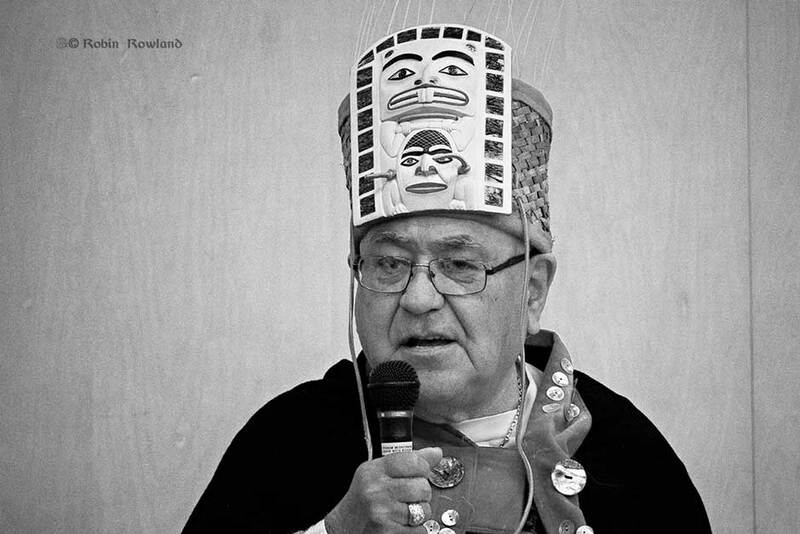 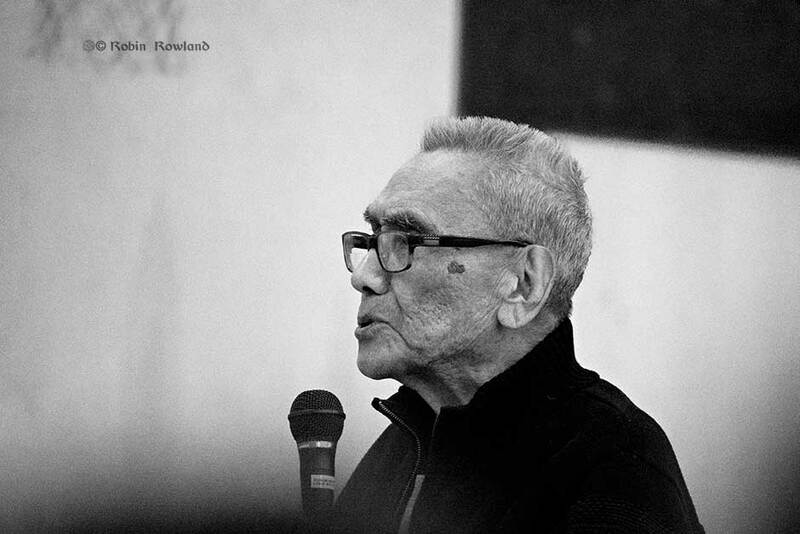 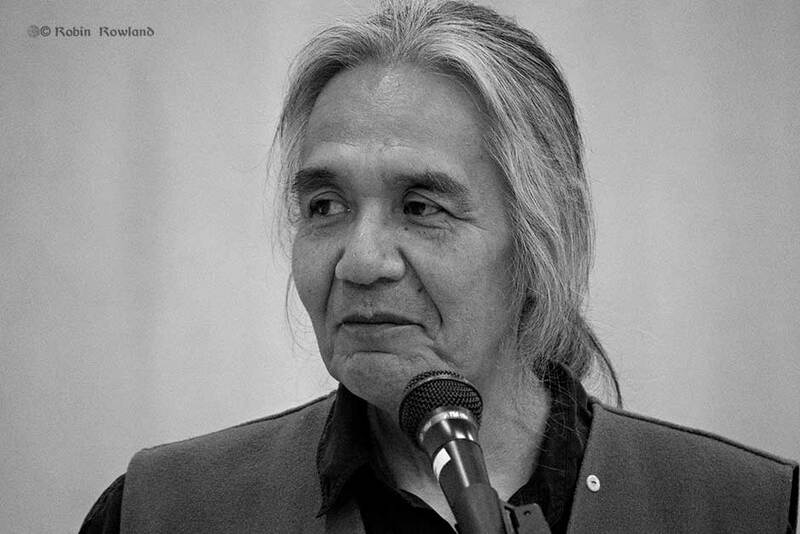 After the friendship pole was raised in Kitimat, the Haisla Nation hosted a feast for both communities at Kitimat’s Riverlodge Recreation Centre.